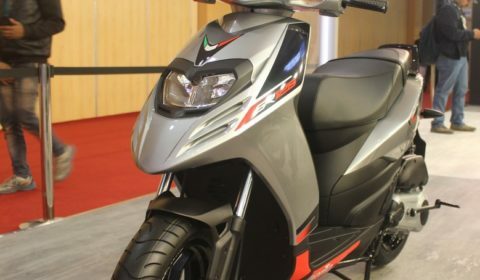 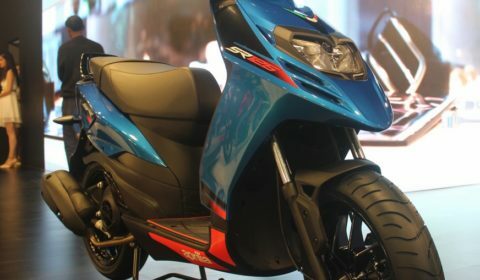 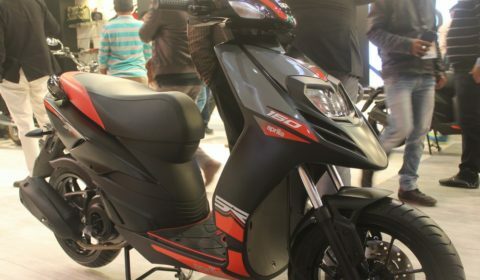 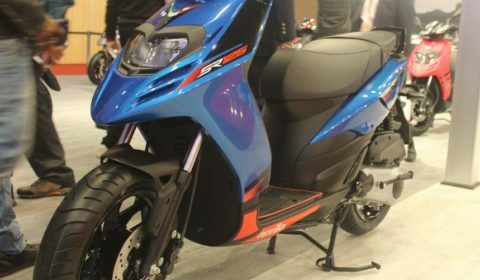 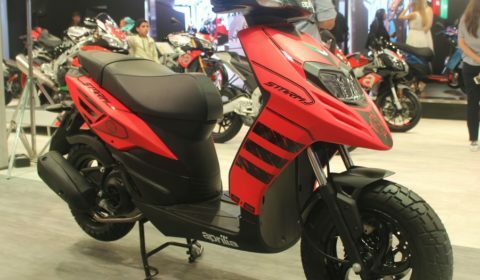 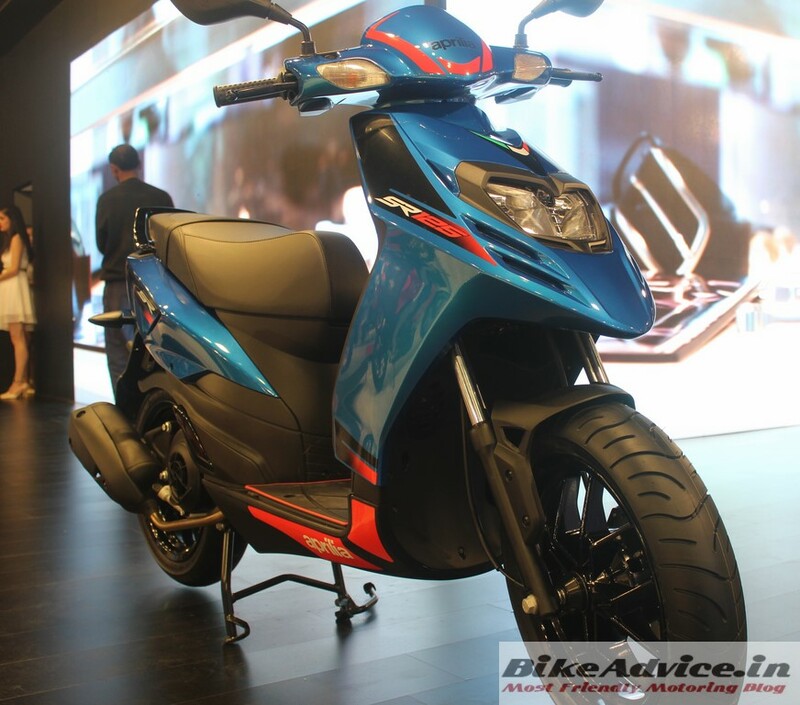 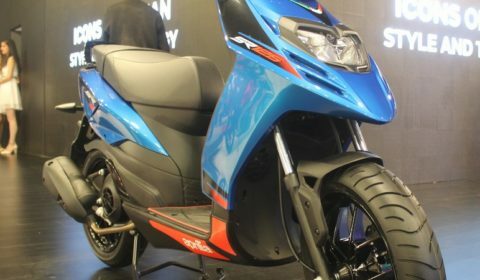 Apart from good sales, what SR150 has done is – it has shown the very commuter-mindset manufacturers the fact that sports scooters do have a buyer set in India. 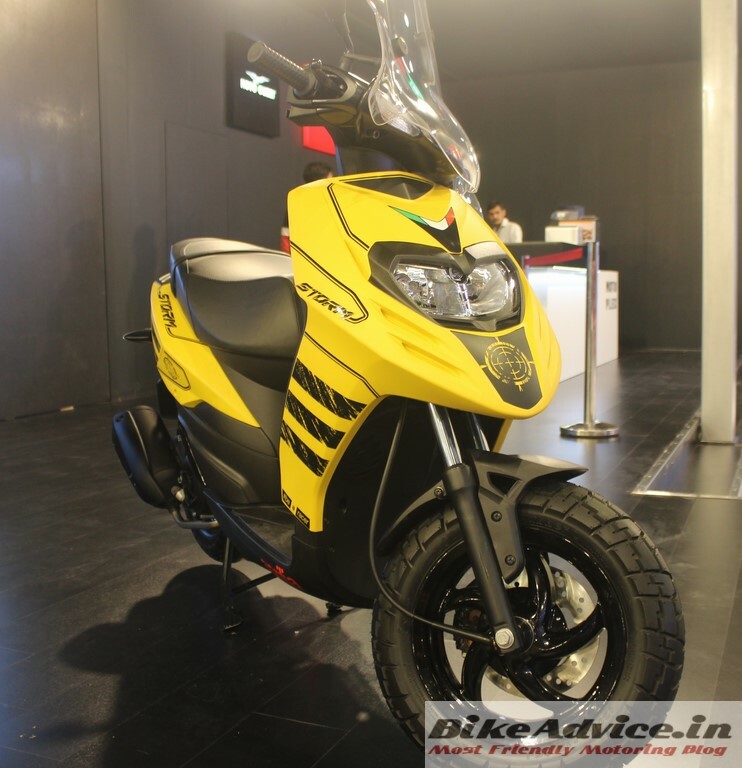 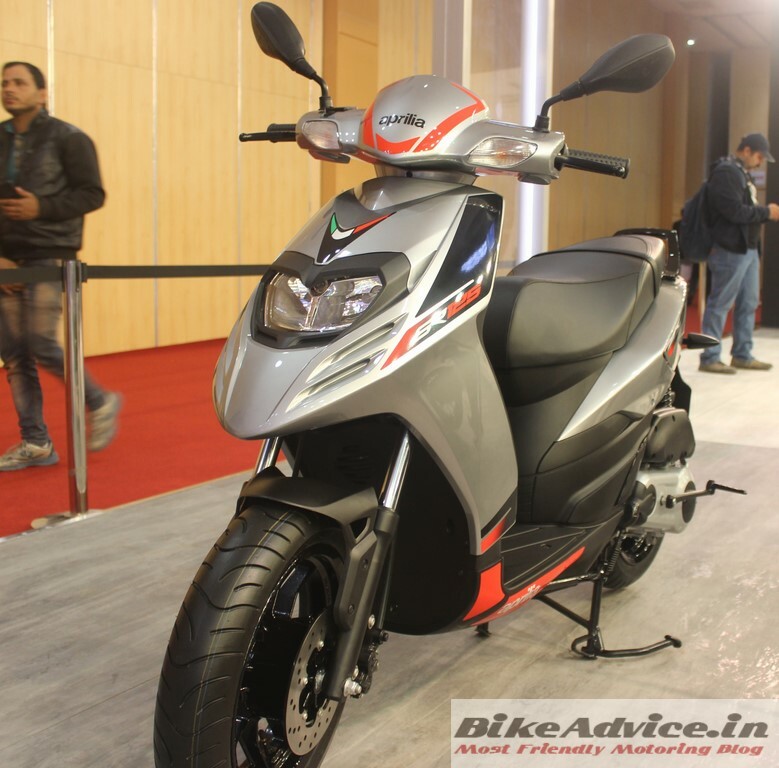 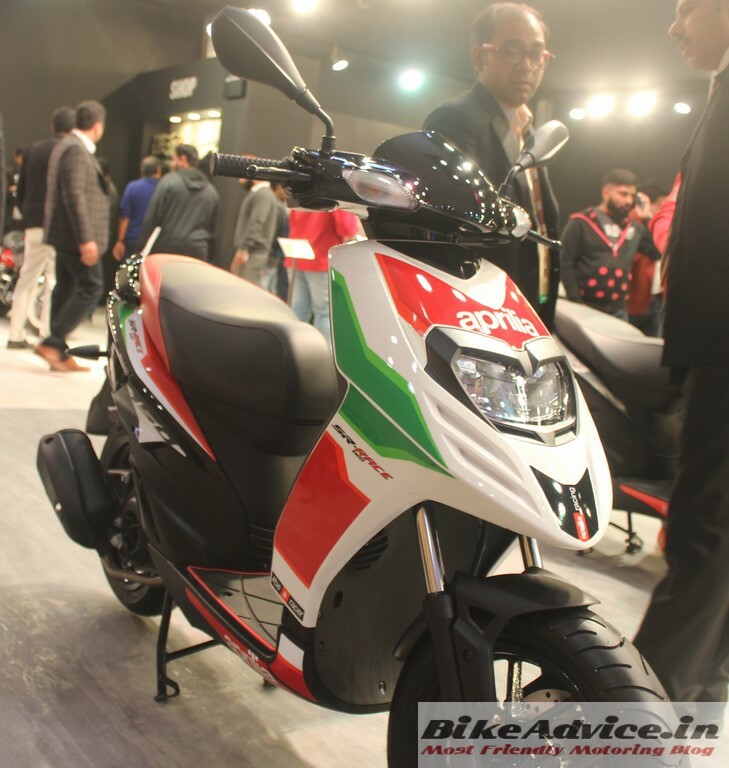 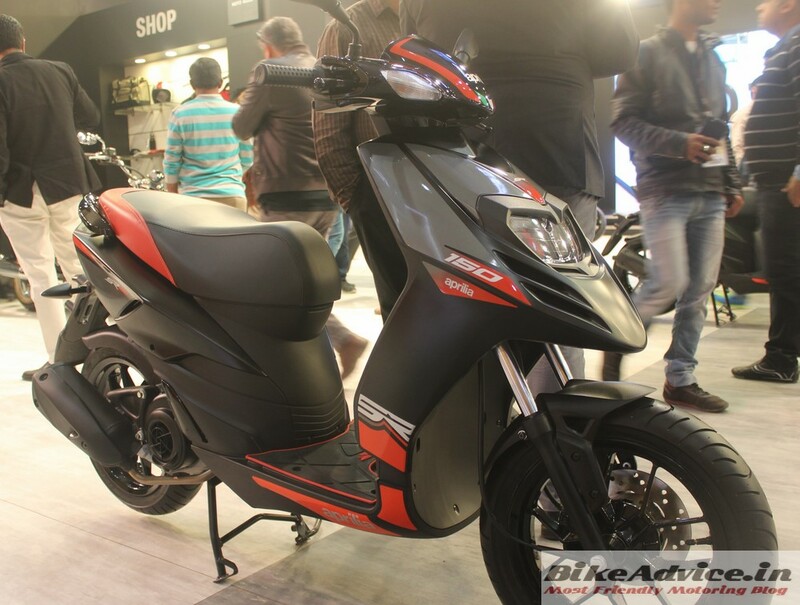 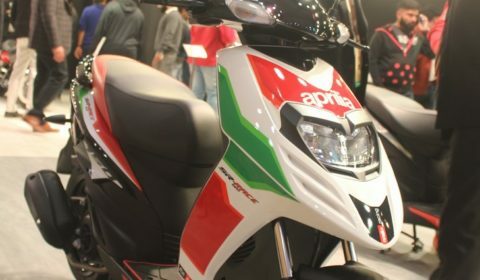 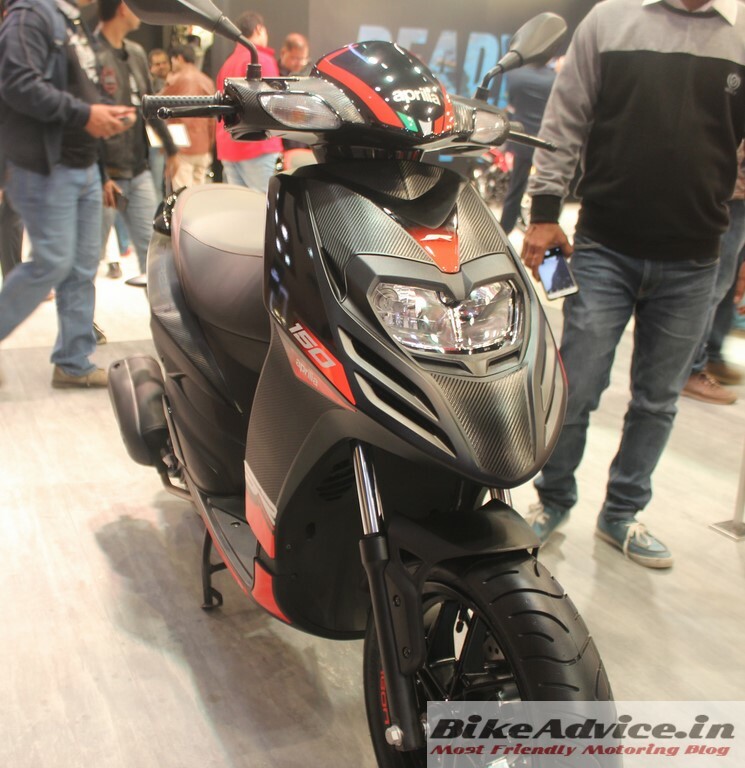 Aprilia launched the smaller sibling SR125 at the Auto Expo last year at Rs 65,310 ex-showroom Pune, to amass volumes. 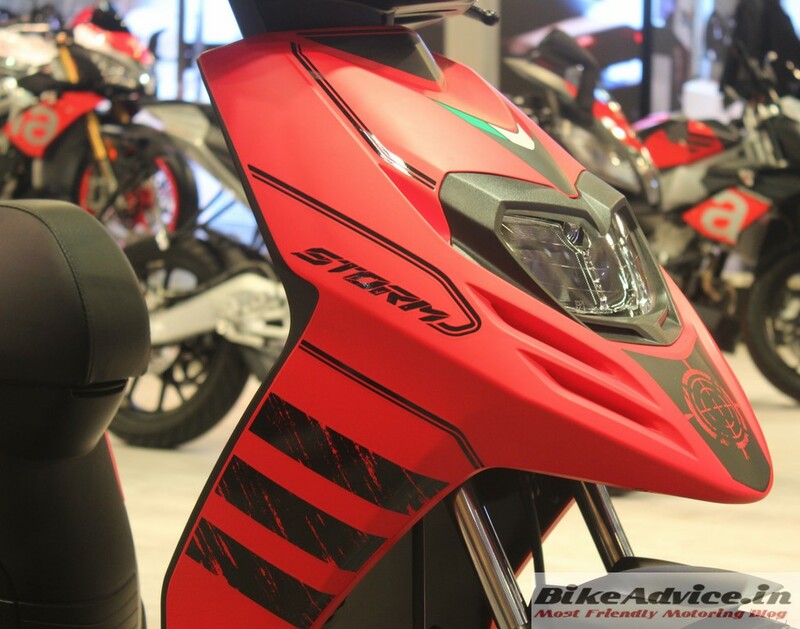 But, apart from the RS150 and Tuono 150, the star of the show was the STORM! 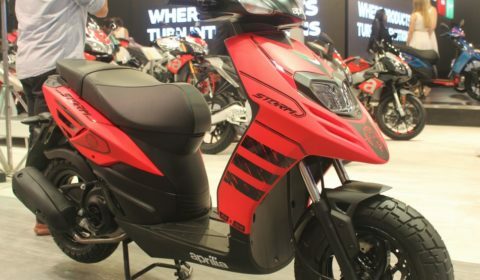 The special editions of SR125, scooters were draped in matte red and matte yellow with black stickers and decals. 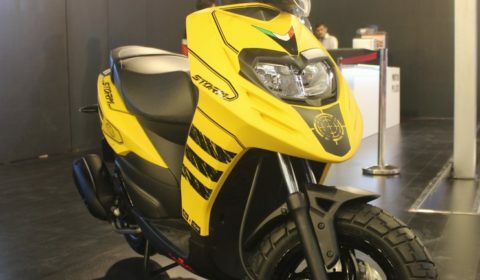 The SR125 Storm will be powered by the same 124.49 cc single cylinder engine capable of producing 9.65 PS of peak power at 7250 rpm and 9.9 Nm of maximum torque at 6250 rpm. 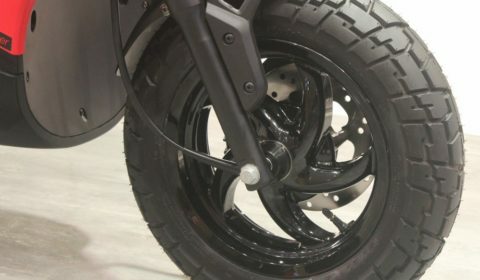 Storm 125 gets smaller 12 inch wheels in place of 14 inchers of the regular SRs. 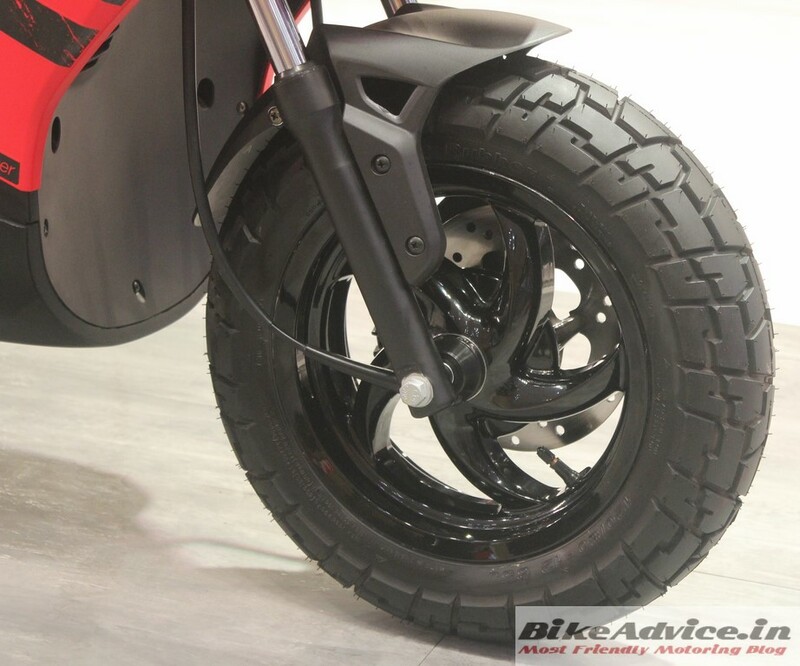 But they are wider off-road tyres (Vee Rubber brand) which add a lot of visual appeal to the design (size 120/80 front and 130/80 rear). 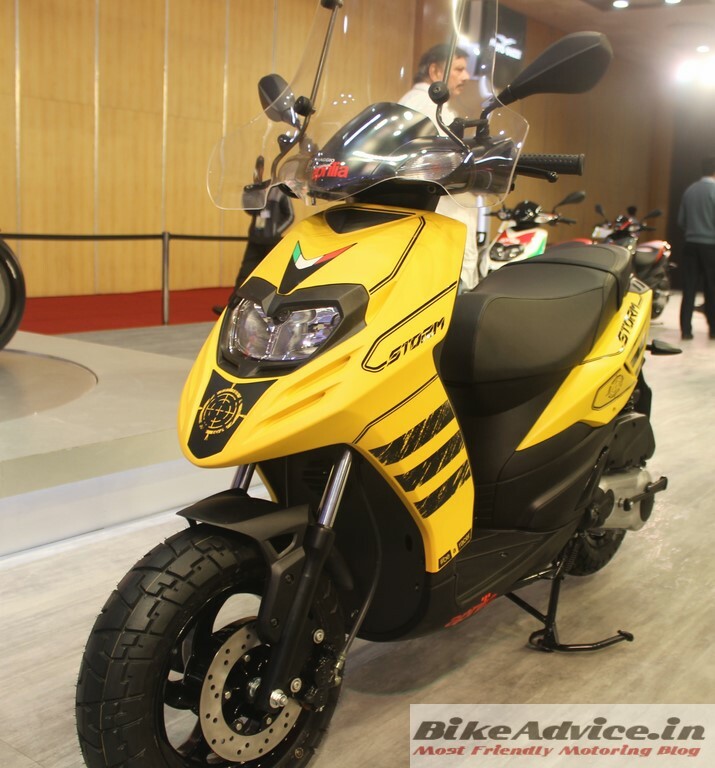 Regular SR makes do with 120/70 tyres at both ends. 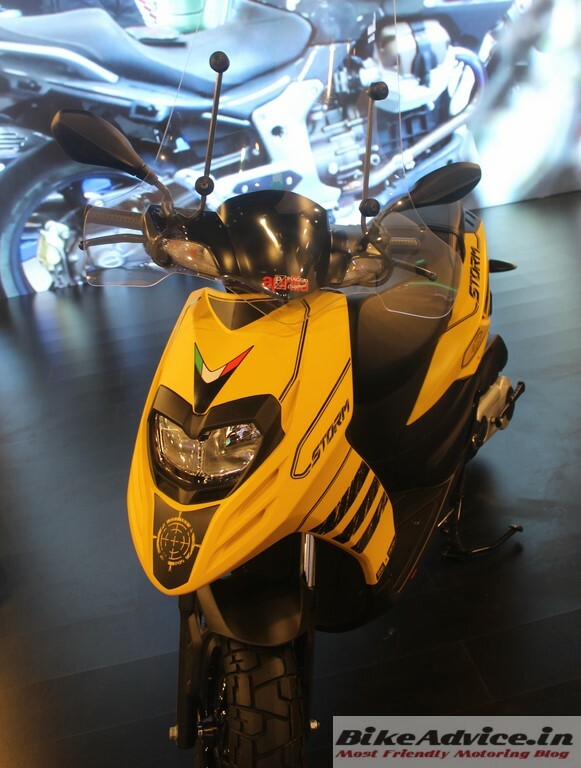 And then there will be many accessories and customisation options that the company will throw in for its buyers. 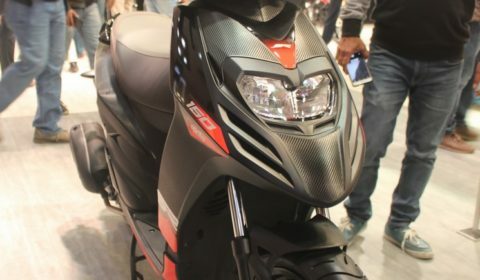 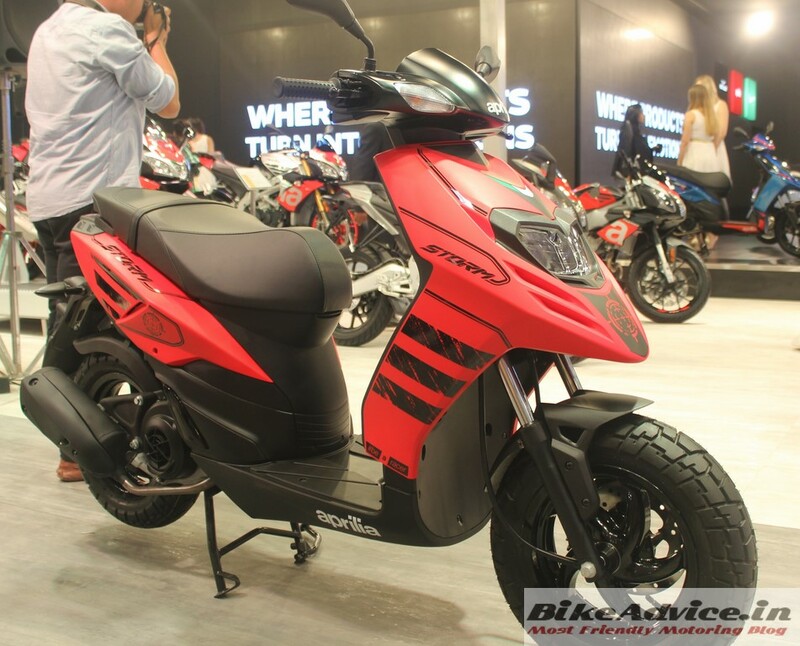 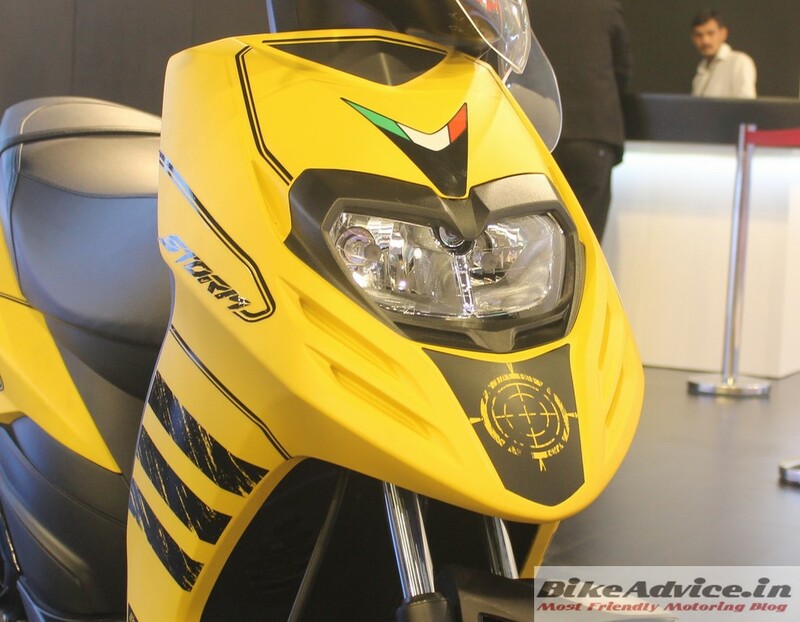 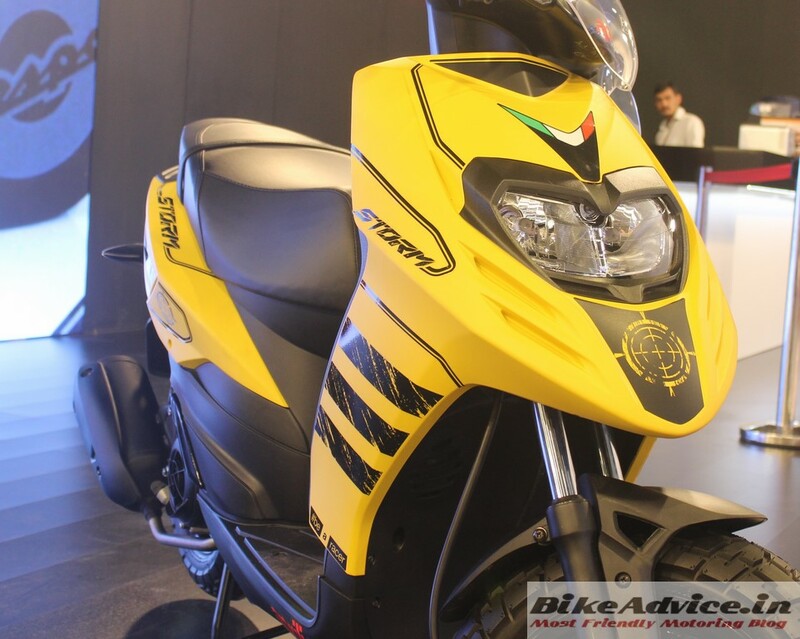 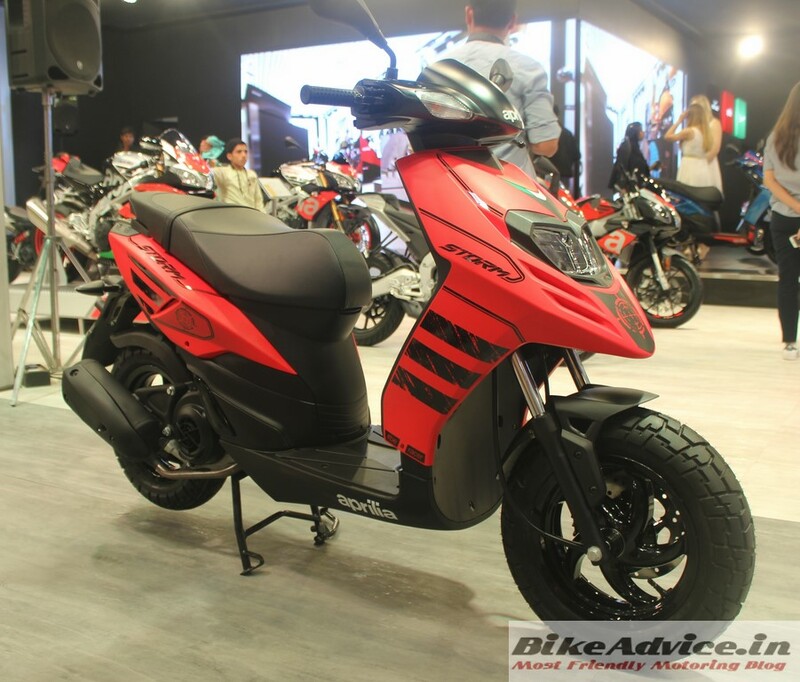 Aprilia says they will target youngsters with the Storm 125 (then who is buying the SR150? 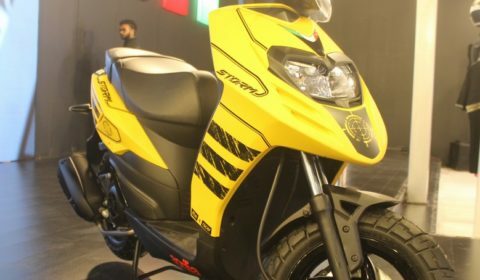 😛 )! 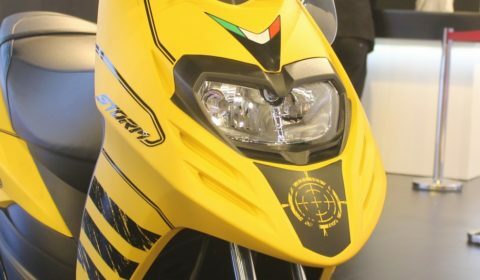 Storm was expected to be last year’s festive season launch, however, a report at Autocar suggested that the official introduction has been pushed to the first quarter of 2019. 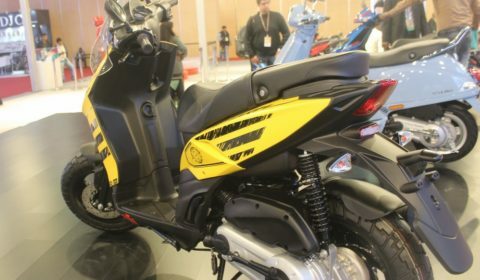 And since, it is now closer to the ABS/CBS deadline, expect the scoot to come equipped with CBS (combined braking system) as standard. 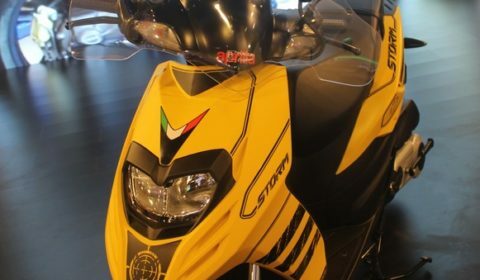 Now comes the surprise – against the obvious belief that Storm 125 could cost precariously close to SR150, the report speculates that it will, instead, be priced lesser than SR125. 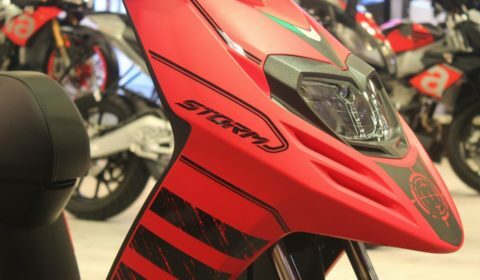 If this will go true, Storm 125 will be the cheapest Aprilia in India. 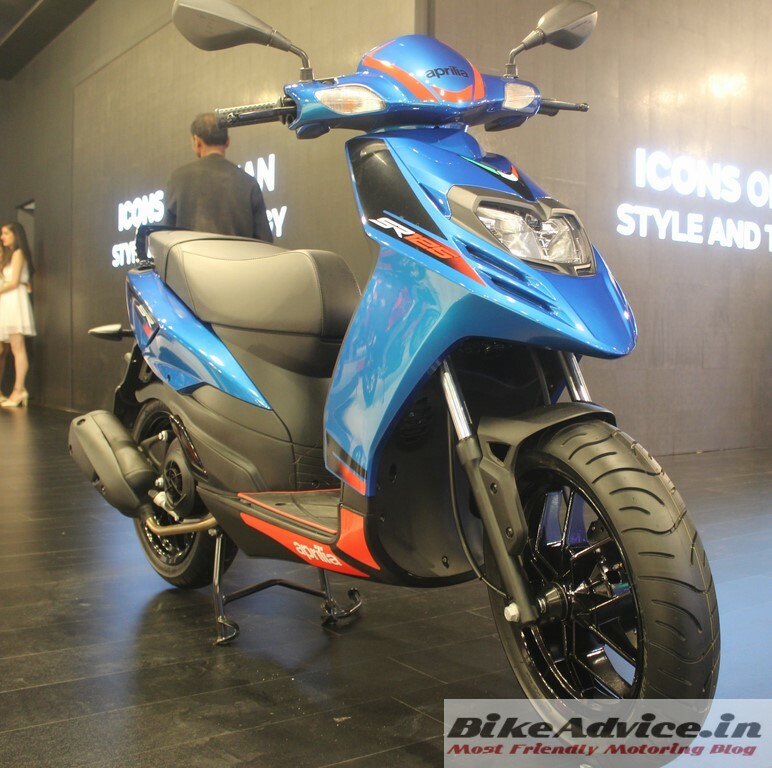 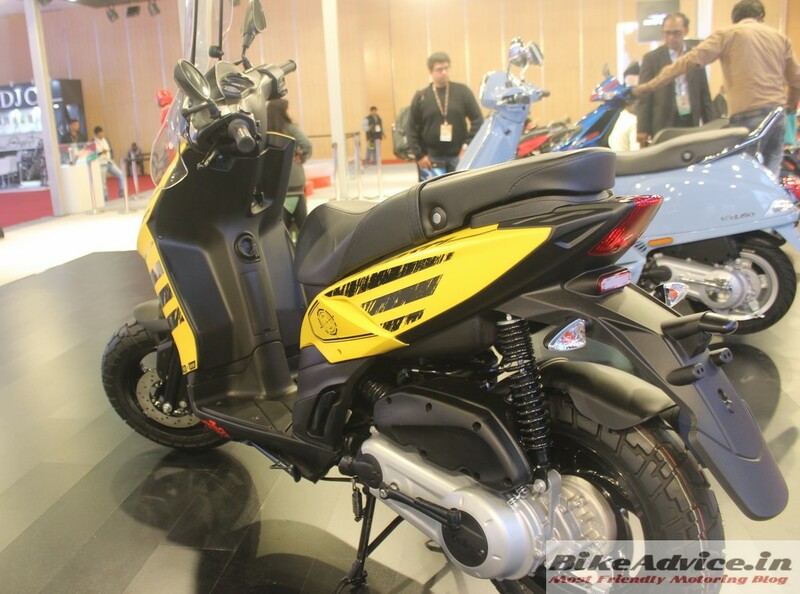 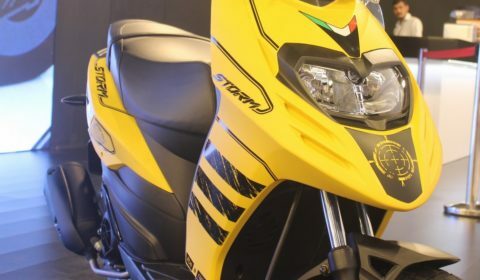 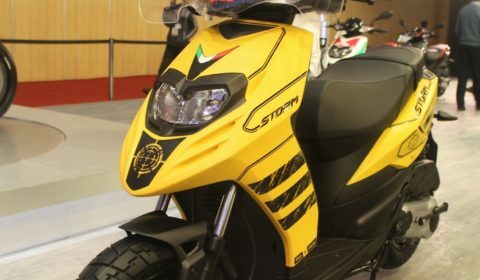 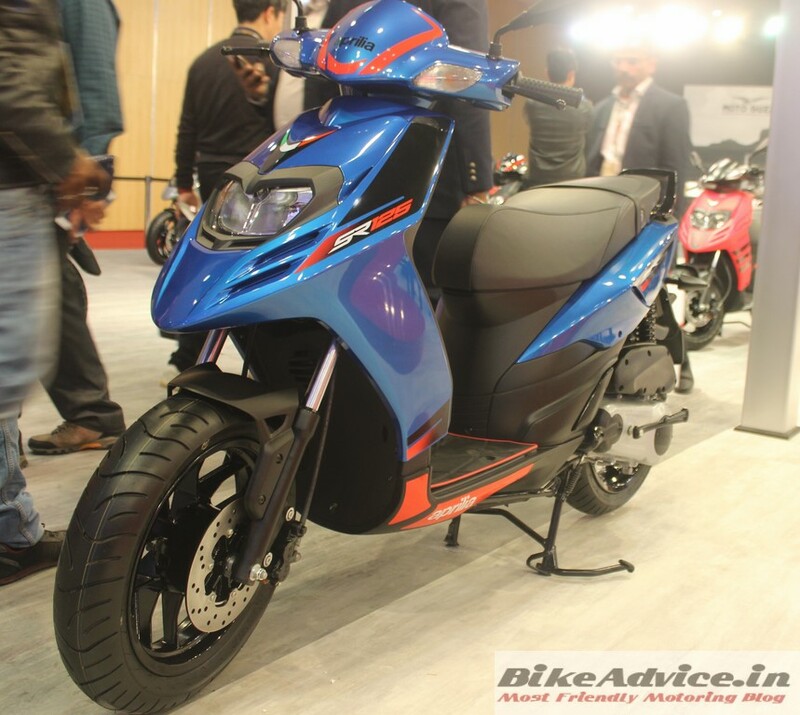 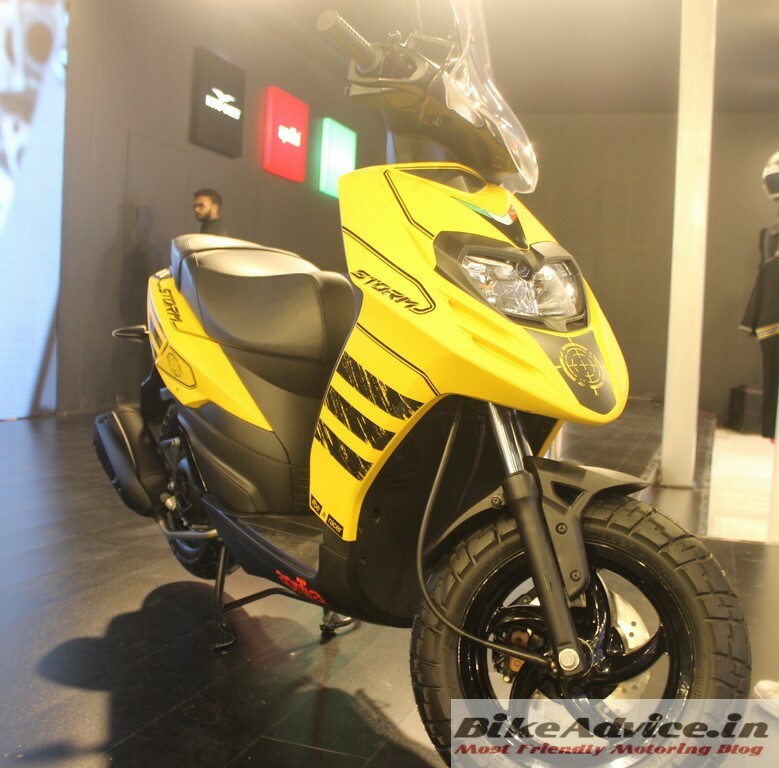 Storm may also get the 150 cc engine in the times to come which could broaden the lineup from the company.